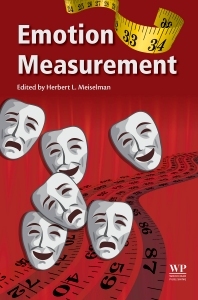 Emotion Measurement reviews academic and applied studies in order to highlight key elements of emotions which should be considered in the development and validation of newer commercial methods of emotion measurement. The goal of the book is practical, but the approach will be both academic and applied. It is aimed primarily at sensory scientists and the product developers they work alongside who require knowledge of measuring emotion to ensure high levels of consumer acceptability of their products. The book begins with a review of basic studies of emotion, including the theory, physiology, and psychology of emotions – these are the standard studies of which food and sensory scientists as well as product developers need to be aware. The next section highlights methods for studying emotions on a relatively basic level. The book then moves to practical applications, with chapters on emotion research in food and beverage, as well as in a range of product and clinical settings. Finally, there is a treatment of cross-cultural research on emotions. This is critical because much of the newer commercial research is aimed at markets around the world, requiring methods which work in many cultures. The book ends with an integrative summary of the material presented. Food and Consumer Product Scientists, academic researchers studying emotions, sensory & consumer insight managers & Scientists, psychologists & psychology Students and marketing managers. 33. Does everyone feel the same? 34. Does everyone express feelings the same way?